Description: In great interest yesterday passed the presentation of the investment plan of Dupnitsa Municipality for the construction of tourist and ski center Dupnitsa, writes in. "Struma". Description: The modernization of the ski area near the hut "Aleko" Vitosha will cost over 100 million. lev. Description: On 06.11.2013g . , " IVIS Design and Design" Ltd., with UNITE Consulting and Macedonian company " Filbis " DOOEL , successfully delivered The urban concept for the development of sport and recreation tourist center " Kalin Kamen ." Description: This weekend over 100 track athletes from 6 different classes of bikes participated in the last race of the season in the airport complex " Dolna Mitropolia " Pleven. Description: Hello friends!We are pleased to announce that 20.10.2013g. will be held another round of "Eastern European championship," the race will be held on the track in the Republic, Bulgaria. News: With night skiing today opens ski season 2012/2013 on Vitosha. Description: With night skiing today opens ski season 2012/2013 on Vitosha. News: Monument to Bansko is already implemented! Description: Monument to Bansko is already implemented! News: Rankings of the race this weekend in Rijeka. Description: Rankings of the race this weekend in Rijeka. News: Technical problems failed classification of Ivis Racing Team Competition in Pleven. Description: Technical problems failed classification of Ivis Racing Team Competition in Pleven. Description: Ivis Team Racing Team is travelling to a Republican race championship, which will be held this weekend at the track in Dolna Mitropoliq. Description: Alpe Adria started with his first race on 21 - 22.04, Sunday on the track"Slovakiaring"
Description: Ivis Racing Team went to the championship race Alpe Adria Championship, which will be held this weekend on track Slovakiaring. News: Sani Jekova won silver in the new world tour! Description: "That may be the year of silver medals for me that will motivate me even more to be better and reach the gold," said the charming snowboarder. Description: A day after winning the gold medal in the slalom World Cup informal Ski Cup "Topolino" (15 years), Albert Popov took the silver medal in giant slalom. Description: Before leaving for Sofia from winter capital of the Balkans with the latest model of Audi, an American promise of an interview with "Standard". Description: A unique charity gala dinner organized by First Investment Bank was held on 24 February 1620 m altitude in the VIP tent on the lawn Banderishka. Description: VIP invitation to honorary member of the jury to "Ivis - Design and Design", the contest "Miss Model of Bulgaria 2012." Description: Small Swiss ski resort invests in building one of the world's first ski lifts, powered by solar energy. News: WINNER AND RUNNER-UP FROM THE "MISS BULGARIA - SEASONS - WINTER 2012"
Description: WINNER AND RUNNER-UP FROM THE "MISS BULGARIA - SEASONS - WINTER 2012"
News: "Miss Model of Bulgaria 2012"
Description: "Miss Model of Bulgaria 2012"
Description: Part "green systems and recreation" to the General Plan of Yambol and his land. Description: Master plan of the municipality Puppet - final draft. Description: Detailed plan - a plan of regulation. Description: Specific detailed plan of the ski area "Aleko." Description: Some of the best slalom skier in the world will participate in the starts for the European Cup in Pamporovo next month. 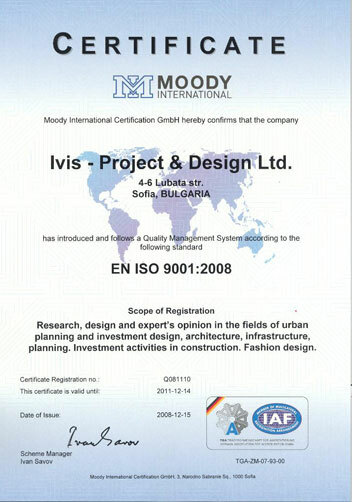 Description: We are proud to announce that the company Ivis - Project and Design is now a partner and sponsor of the VIP Models Bulgaria. News: Benefit of the "Vitosha Ski".What about the skiers? News: And Italy announced us for № 1 in Europe!! Description: And Italy announced us for № 1 in Europe!! News: Merry Christmas and Happy New 2012! Description: Merry Christmas and Happy New 2012! Description: Sheft Outdoors Park "Vitosha" Tom Belev e drastichen in conflict of interest, alarmiraha environmental organizations. Description: At Your Supermarket "Winter"
News: "Winter" - "Queen's Pub"
News: Dobrinishte is European resort "Four Seasons"
Description: IVIS – Project Developing and Design Ltd. is a company with serious investment projects in Bulgaria. The company owns terrains in attractive regions of the country; it works with more than 10 partners in Europe, 10 of which in Great Britain. News: Investment for 200 million leva in Dobrinishte. Description: The team of IVIS – Project and Design Ltd, with Manager Architect Emil Lekov, is working on the General Structure Plan of the ski zone and the town.